Larry Haun passed away just before noon on Monday, Oct. 24, at the age of 80. 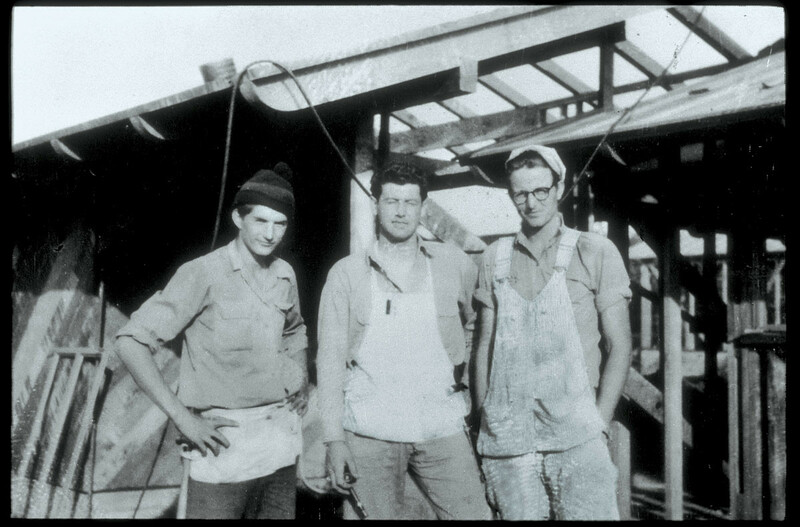 A legendary carpenter, longtime Fine Homebuilding contributor and blogger, and prodigious book author, Larry began his building career on the Nebraska prairie at the tender age of 17—and kept building for the next 63 years. In the past few years, he has been “retired,” which in Larry’s case meant building houses for Habitat for Humanity and wheelchair ramps for people in hospice care; teaching; and generally passing along the wisdom of a compassionate life well lived. Drawing on the knowledge and skills that he developed during the post-war building boom in Southern California, Larry’s first Fine Homebuilding article, “Production-Line Jamb Setting and Door Hanging,” appeared in 1989. “I met Larry for the first time at the Burbank airport in 1989. I’d flown to Southern California to photograph an article that Larry was writing on hanging doors, production style. I’d been on lots of trips like this, but this was the first time anybody ever met me at the airport. Tall and lean, he had on his broad black hat, and he was holding a sign with my name on it. He wanted to make sure I had an extra hand with the photo gear if I needed it, and to guide me to our potentially hard-to-find job site. Going out of his way to help others like this was typical of Larry, as I would see again and again over the next two decades. “We drove to a tract of partially built houses in Northridge, and set up the lights and tripods in one that was far enough along to be getting its doors hung. The guys working on this house were clearly a hard-working, hard-partying bunch. Loud, irreverent, and profane when Larry wasn’t around, they practically turned into choirboys when he came back into the room. It was really something to see. He wasn’t pious. He was just calm and respectful, and it rubbed off (at least for a little while) on everybody around him. 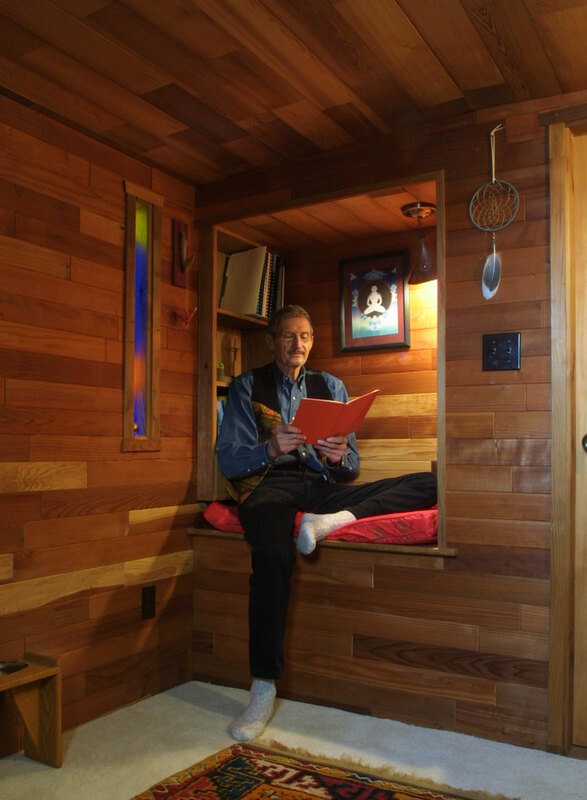 Larry went on to write more than 20 articles about subjects ranging from basic building skills like nailing and cutting to more advanced framing techniques for roofs, stairs, and walls. He also contributed articles about lessons from the 1994 Los Angeles earthquake and job-site safety. 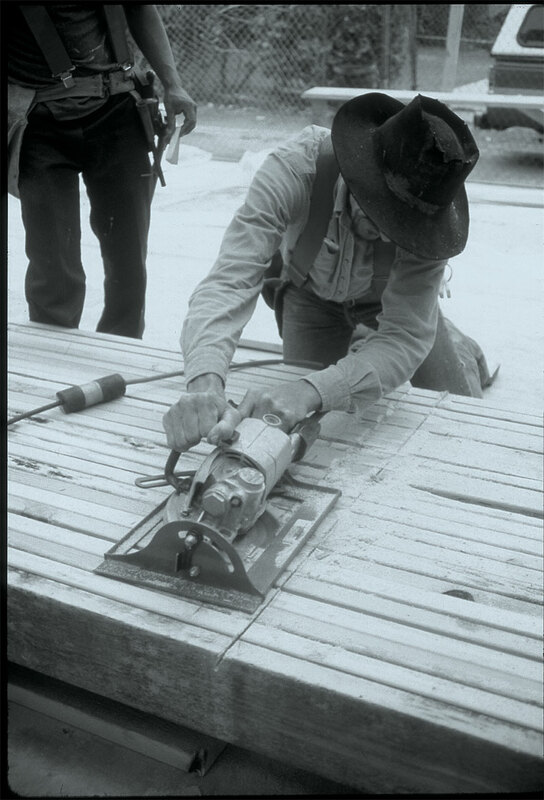 For FHB’s 25th-anniversary issue, Larry wrote “One Carpenter’s Life,” a reflection on his career as a builder. In addition to articles, he contributed to “Q&A,” “Tips & Techniques,” “Tools & Materials,” and “Reviews.” In FHB #111, poet, builder, and one-time apprentice Phil Rosenberg celebrated Larry in a poem for “Great Moments in Building History.” Larry’s tip on one-piece corner boards will appear in our January 2012 issue (#224). Larry’s first book for Taunton, The Very Efficient Carpenter, was published in 1992. Three videos followed, and then a carpentry primer (Homebuilding Basics: Carpentry) in 1999. Larry’s long relationship with Habitat for Humanity proved the foundation for Larry’s next book, Habitat for Humanity: How to Build a House (published in 2002 and revised in 2008). In all his “how-to” books, Larry was a master at delivering clear, step-by-step information, able to make something as complex as framing a hip roof readily comprehensible to the greenest layperson. None of us was prepared for Larry’s next foray into the world of books. In January 2010, he calmly announced to his editor that he was working on the first chapter of a new book. As Larry modestly put it, “It’s a bit scary because it is different from most of what I have written. It has been on my mind for some time, so I am giving it a try.” In time, the book would evolve into his most original work, A Carpenter’s Life as Told by Houses, which was published this fall. Larry tells a story in A Carpenter’s Life about a buckhorn seed that his mother’s mother carried with her on the family’s wagon trip west. She didn’t plant it on the Plains, but kept it to remember where she had come from. She passed it on to his mother, who in turn gave it to Larry before she died. Larry kept it in a small pouch, and now and then would take it out and hold it “and let old memories flood my heart.” Recently, he passed it on to one of his children. To all his friends, his coworkers, his students, and his readers, Larry Haun has left much more. The New York Times published an article about Larry in their Home & Garden section. I never had the pleasure of meeting Larry in person but I did have the absolute pleasure and privilege of getting to know him through emails and phone calls since I started working at Fine Homebuilding six plus years ago. He was a gentleman and a gentle man and I will miss him. Knowing him has been a gift, one I will cherish forever in my heart. Knowing Larry is gone leaves a small, distinct hole in both my personal and professional lives. I've never been much of a framer, but I have watched Larry's videos many. many times. If there is poetry in the swing of a hammer (and I believe there is), Larry shared it with the world in those movies. Thanks for everything Larry. I'll miss you. I worked with Larry on his Habitat book, spent time with him at trade shows, and kept in touch by phone and email over the years. He's a dear friend, a mentor, and a gentle, caring human being who always brought out the best in those lucky enough to spend time with him. Larry might argue with me, but I'd also call him a provacateur, because he always managed to get to the root of issues, forcing you to see things with fresh perspective. He made me a better editor and a better person. There's no doubt he'll live on in the hearts and minds of thousands of carpenters, helping us to value good work and share the best of our craft with others. Never met the man, watched his videos, read his books, Larry gave a new meaning to the phrase 'old school." I've been a tile and trim contractor for 22 yrs. and I can say without any fear of contradiction Larry did it right. The young people of this world could learn something from a man like Larry, and it has nothing to do with carpentry. He will be missed, but happily remembered. Heaven has a great framer now. I will miss Larry deeply. Although we only met in person a couple if times, his friendship and thoughtfulness were a presence in my life that I valued greatly. Larry and I entered the Taunton author training program on the same day, (in 1996 I believe) with John Lively teaching us the finer points of how to write a book effectively, and how to work with editors etc. Since that time, Larry and I have been in touch from time to time, and over the past decade we have shared our respective experiences with cancer with each other. I know that Larry has been an amazing role model for everyone he's been in contact with over the years he's lived with this disease. He's taught so many that no matter what one is dealing with physically, it is how we are in the living of it that matters, and that death is not something to be feared. There are few people on this planet that I can speak to the way I was able to speak to Larry. He was a deeply wise man, and embodied the true meaning of the word "Sage". Travel well, Larry, and thank you for living so fully what you came to know in this journey through life. It's sad to read of Larry Haun's passing. I am just your average dedicated, fanatical, reader of Fine Homebuilding. But over the years Larry's ability to present complex building topics in a very approachable manner were a large part of this magazines success. Besides that, his writings and videos made me feel that Larry was definitely one of those people that we need a lot more of in this world. Thanks Larry, for your success in a life well lived! We are all the better for it! The thing about Larry was that it didn’t matter to him if you were a woman or a man, a pro or a DIY-er, an editorial assistant or the publisher. If you loved houses and appreciated hard work, well, you were the same, despite the years and wisdom he had on you. Some people just emit light. You know it when you feel it; Larry was one of those people. What I’ll remember most about him: In every conversation, in every email, in every letter, when we were done with the business of the day--maybe it was a proposal, maybe an answer to a reader’s question—-Larry always asked me about my kids, told me what was coming up in his garden (in glorious detail), and asked what was blooming in mine. There’s the light. A few years ago, I worked with Larry on an article called "Danger Can Be a State of Mind", where he drew a direct correlation between job site accidents and being distracted by stress or fatigue. Although technically it was a piece on safety, it wasn't our usual fare - good advice on the value of being self-aware. (Carpenters typically aren't thought of as paragons of emotional and/or spiritual clarity.) But that was in part what was great about Larry: here he was, a reincarnation of Shiva the Carpenter, simultaneously sinking 16d nails with a single lick of his hammer while gang-cutting wall studs with his other, still remaining focused and in the moment and thoughtful enough to counsel us. He'll be an inspiration for years to come. The way larry worked was amazing. I watch his videos and read his books. hoping that one day i may get close to his level of skill. He wasn't like a lot of framers from my understanding. he was calm quite and clean. Here in our Construction & Remodeling program at Madison Area Technical College we say "WWLD" or "What would Larry do?" I never met Mr.Larry Haun in person, but watching his videos has given me the understanding and confidence to build a house of my own. Mr.Larry Haun, is my first teacher about building construction. Ever since I have watched his videos, it has gave me the basic knowledge to understand how to build a house. He has that positive input and the professional knowledge has taught me a lot how to plan and to build a home. Now I have started building on my vacant lot in Mt.Vernon, Missouri. What a Great knowledgeble Man Mr.Larry Haun. Larry got in touch with me almost exactly a year ago, asking for advice on how to get his new book published (I'm a Boston-area research librarian who happens to like building homes). He said FHB loved it, but with a working title of "My Story as Told By Houses", they weren't quite sure what to do with it, since it didn't fit any sort of "How to" category. 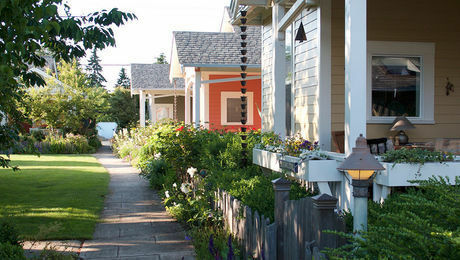 I wrote back to him, reminding him of Sarah's unconventional but popular home design books. I encouraged him to be persistent with Taunton, since he was a walking treasure-trove of American post-war homebuilding history. I let him know that if anyone should publish it, it should be Taunton. I'm really glad that Taunton found a way to fit it into their publishing catalog, it's a true living testament Larry's rich life, and to an important part of American history. I have had the distinct privilege of calling Larry a personal friend for the past several years since we have both live in Coos Bay, Oregon. I am on the board of the local Habitat for Humanity chapter that I believe he was instrumental in starting and have worked with him on occasion and have enjoyed dropping in on him at home over the years. For the past several months I have been offering to buy him coffee, breakfast or lunch. Between his finishing the last book and dealing with health issues, I'm sad to say that we were not able to coordinate that. I wanted one more chance to bask in his wisdom and knowledge. He was definitely a master of Zen carpentry. From Wikipedia: "Zen emphasizes experiential wisdom in the attainment of enlightenment. As such, it de-emphasizes theoretical knowledge in favor of direct self-realization through meditation and...practice." In Larry's case he surely had theoretical knowledge, but was also very strong in experiential Wisdom. The Wisdom part was what most impressed me about him. Larry and his dear wife Mila, along with Larry's brother Joe, have been my friends for over 20 years. In 1990 I had the privilege of working with Larry and Joe for a month as we videotaped how to frame the floors, walls, and roof of a typical house. We put in long days and I would often ask Larry to redo a scene to get it just right. One day, after shooting a complicated scene multiple times. Larry got up, walked away about 20 feet, looked out at the trees and the mountains for a good 30 seconds, then turned around and said "Okay, let's do it." He told me later that it was important to stop sometimes and look around. About a year ago, dear Uncle Larry got in touch with me, too, asking if I had any ideas about a publisher who might be interested in his new book, which, he said, was enough different from his others that Taunton didn't know what to do with it . . . It sounded like the perfect Christmas book for Taunton's list for me: what do you give the man who already has all of Larry's other books AND a nail gun AND a baby chainsaw? 'A Carpenter's Life as Told by Houses,' an instant, unclassifiable classic. Thanks, Taunton, for sharing Larry's knowledge of his craft and the wisdom that went along with it with all of us, all the way to the end of his remarkable life. And thanks, Larry, for sharing everything you learned about how to build the stairs of a life so they don't squeak as you climb. You made it look as easy as breathing. Thanks again. I know Larry as a builder through his books and articles, videos and blogs, and through talking to a generation of Fine Homebuilding editors, from Kevin and Chuck to Brian and Justin. I know him through his books, of course, and had the privilege of helping edit a couple of them. But best of all, I know Larry as a friend. I had the great good fortune of working with him these past 18 months on A Carpenter’s Life. First, he gently cajoled me and convinced me that this was indeed a book that Taunton should publish (how right he was! ), and then he kept sending me these beautiful chapters that came from I know not where but contained within them words and wisdom that turned an old cynic’s heart a-flutter. 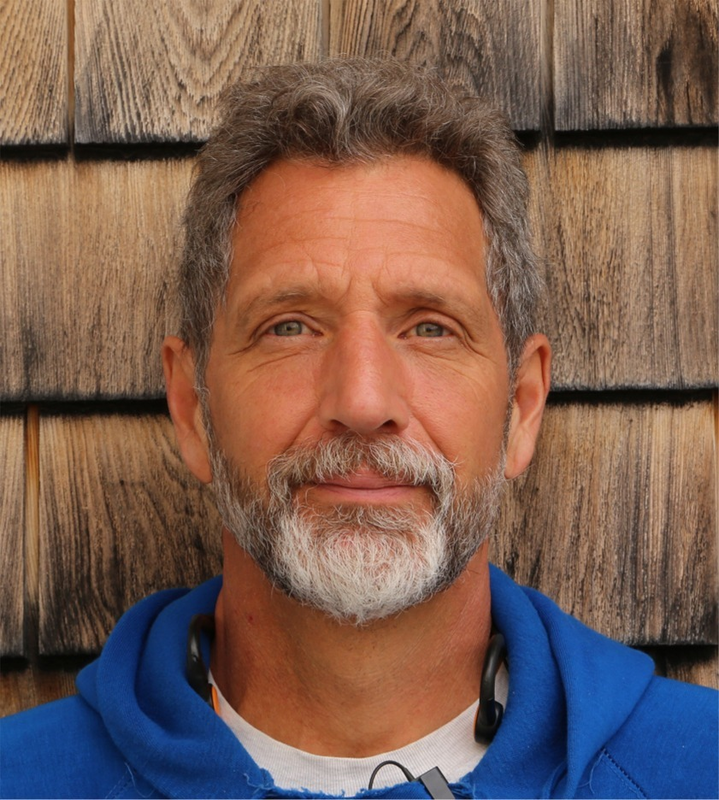 I think I’ve saved all his emails, but the most poignant was his last, as he was preparing for The New York Times interview with Penelope Green: “Hi Peter, Penelope and I will be talking on Tuesday, Oct. 18th. Any suggestions?“ Larry, lost for words? Come on. I told him to be himself and get on with it. And he was and he did, and we have today’s wonderful tribute in the NYT as a legacy to the humble carpenter who has enriched all our lives. I will miss you Larry Haun. Great Knowledgeable Man Mr. Larry Haun (thanks Joseph). Peace. Peter C.
I never met Larry in person either, but I have watched his videos and read many of his articles published by Fine Homebuilding. I now teach a high school house building course in Sault Ste. Marie Ontario, and show Larry's framing videos to my students each semester. Larry continues to inspire young and upcoming apprentices through these videos and articles that he has written even though he has passed on. Larry also continues to inspire me as a teacher of carpentry and life skills to young people. I hope that I can have a positive influence on my students the way that Larry has had on so many. As a member of Fine Homebuilding for a few years now, I became an admirer of Larry Haun. Any article by Larry was a guaranteed read. That being said, my point of commenting here is in regards to finehomebuilding.com sending an email titled "In memory of legendary builder Larry Haun" to SELL ME A BOOK. Come on. Not even a week has passed since his death and you guys are trying to capitalize on this? I thought, well maybe they deeply discounted the book to the members who enjoyed his articles for years for, say cost or maybe cost plus donation to a charitable cause Larry would have supported. Nope. Full blown retail. Amazon.com currently sells it for $15.61 with free super saver shipping. Pretty sad. Before I was able to get into the Carpenters' Union, I bought Jim's book "The Very Efficient Carpenter". Not only did it help prepare me for my apprenticeship, it gave me tools that I've carried into every aspect of my carpentry career and still use to this day. Thanks to Jim and to Taunton who had the good sense to publish him. Jeez, sorry everybody (especially Larry) for typing the wrong name below. Meant to say "...I bought LARRY"S book...". Time for bed! What a rotten year this is. So many legends have passed. Larry's articles were always the first thing I read in FHB, so grounded and clear. He'll be missed by everyone in the FHB community. A great loss, but a great life. I'm an architect and have in my day been a builder too. I've enjoyed Larry's framing video's and his laconic laid back and very assured style immensely over the past year or so. I'm sure he will live on through them for many years to come and the world is a little poorer for the passing of this skilled master of timber and I hope I can swing a hammer with the deftness he frequently displayed when I am in my seventies. As we say down under, rest in peace mate, you've done your bit. So sad to learn this. I was very fond of Larry and saw him as a role model since I took woodworking in London in 1990. His articles were inspirational and his life a lesson to learn and treasure. Travel well Larry and thank you for sharing your wisdom with us ... Rest in Peace. Writing anything about Larry is an honor, he has demonstrated the human spirit's ability to launch into life and share. Apparently, his gift for building and his affinity for showing others how to, with great clarity has proven more than worthwhile. I am too glad that his videos are practically everywhere. His presence will be missed for some time. A builders legacy... A living legend. i just lost a teacher i never met. I was hoping to meet Larry in person some day. 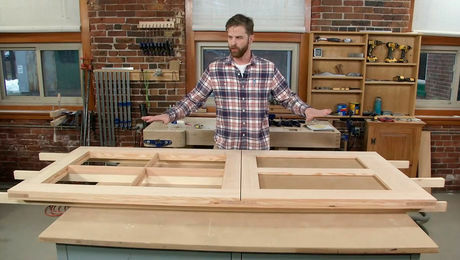 I first know of Larry through his book The Very Efficient Carpenter and the video series. I learn so much through reading and watching him on Fine Homebuilding. Half of it is about carpentry; the other half is about one's character. You will be remembered, Larry! I had never met Larry personnally; however, many videos enabled me to call him my friend. His hammer should be placed in the Carpenters Hall of Fame! Given my short history with Larry extolling his virtues and kindness would hypocritical. Yet I have no doubts of love and affection that those who knew him had for this man, nor their descriptions of his genuine, good heart. Why? The only answer I can offer is that Larry was a sincere individual. And that sincerity gave him a great presence. Ten minutes with Larry gave me the impression of having known Larry for a long time. So even though I didn't know him well, I know people's praises of him are true. Yet a day working with Larry left me hoping to get to know him better in the future. Sadly, hopes will remain just that. Rest in peace, Larry. Scott. I am so sorry to hear this news. I can say that Larry Haun helped demystify the building process for me and was able to earn a fair living because of it. I had the pleasure of buying the "Efficient Carpenter" book and the framing videos. Larry's expertise was so clearly conveyed and felt that I really was an apprentice under him. RIP Larry and thanks to Fine Homebuilding for allowing me to encounter such an impactful person in my life. I was saddened to read about Larry's passing. I was a stay at home father who stumbled on his framing videos one day in the library, and from that day forward "Joe and Larry videos" became a staple of my kids upbringing. I don't know why they made such an impression on them, although I suspect it had something to do with Larry's calm and thoughtful manner. I never met him in person, although I am sure he played a part in my decision to start a construction company, and a part of his efficient work ethic (I hope) goes into every house I build or renovate. I'm reminded of a Springsteen line "when they built you brother, they broke the mold." My name is Michael Poletaev. By means of excellent book “The very efficient carpenter” and films I and my friend could create the building company in far Russia. Ten Russian guys with Larry help have studied to build real American houses. Thank to Jesus for Larrys life. I have devoured every article since the first one on framing for doors was published. I bought the tapes on VHS and the book with the metal spiral binding. I became a better tradesman for it. And that was his goal. Somewhere a Skil 77 is silent. He will be missed. I have been reading Larry's books and articles since I started in carpentry nearly 20 years ago. I could tell that here was a man you could learn from, who did things the right way. I have since passed on several copies of the Very Efficient Carpenters to people working for me. Not because we are Very Efficient, but because we strive to be. Larry's new book just came in the mail last week. I ordered two copies, one for me, and another for an aspiring carpenter. His words take on added significance with his passing and we are all richer that he was able to write this book. It was very sad to see that Larry Haun had passed away. I got to "know" Larry thanks to Fine Homebuilding magazine and really came to respect his opinion on all things framing. It wasn't until I started to watch every one of Larry's videos I could find that I felt like I got to know more about the kind of person he was. He was so humble, practical, intelligent, and eager to pass on what he had learned throughout his storied career. Larry was also someone who knew that no matter how long you have been doing something, there's always an opportunity to learn something new and different. I'll never get tired of watching Larry send those sinkers home in one blow - pure poetry in motion. Thanks to Larry for all that I have learned from him, and to Fine Homebuilding for honoring a great carpenter and person in such a nice way. 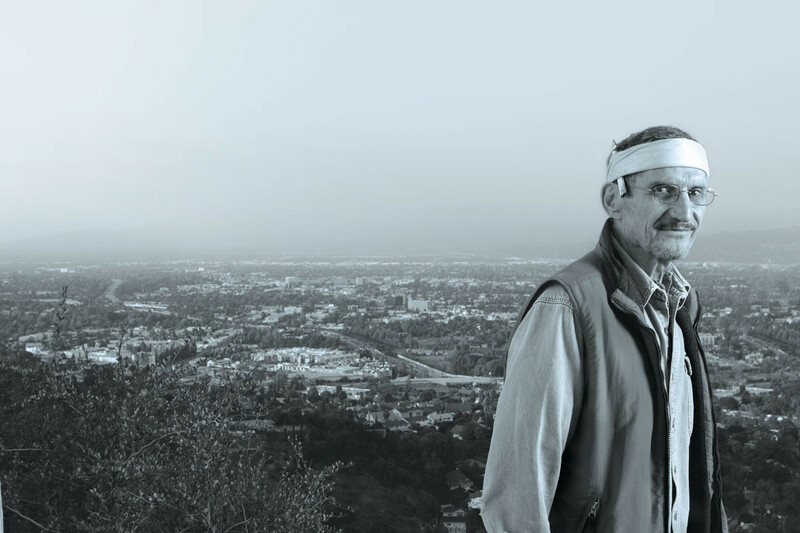 I met Larry about 40 yrs ago at a food co-op formed in our LA Echo Park neighborhood. He was fond of bumper-sticker slogans and often said, "Make love, not war" was still a good message and he especially liked "Question authority!" My personal favorite was a Larry original, "Never miss an oportunity to help someone." I've passed that teaching on to my students. By example, he taught us how to work hard and fast, but also to kick up our heels and have a good time. What a vital man. He touched so many lives and was loved and will be remembered by many. Larry was a true gift to this world and will be deeply missed by many. Larry, thank you for being an example for us all. I have read most of the articles and books written by Larry. Not only was he a great carpenter and builder, he was a great writer. He had the ability to translate his knowledge into simple, easy to read books and articles. He will truely be missed. The Tarzana CA home that my Wife and I have lived in for the past 25 years was constructed in 1955-1956. I have always liked to fantasize that our custom tract home was one that Larry might have done! Now I will have to wait until it's my turn to cross-over to share my silly idea with Larry! Larry... thank you for your description of the "other side" you visited and now live in! The picture you paint has brought me instant comfort and strength. nailman - I broke in with Larry and brother Joe in the late 70's. He bandaged me up after I had popped my thumb nail off with my 22oz hammer, and he dropped a load of 2x12's on me once. We called him the fly, 'cause he could walk on walls just like one. If there are any old timers still around, I would love to shoot the breeze.My name is ralph, and I am still touched by Larry's life. Larry Haun is greater than god in my life. he was the Ghandi of our generation. he was my hero and my inspiration. the way he pounded nails really impressed me. his "one and done" type of swing was legendary in my high school construction class. he was my idol and i always wished i could be just like him. 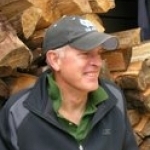 I have been reading Larry's technical writing since I began my carpentry career 20 years ago. He certainly had a gift for explaining construction techniques. What I didn't realize until recently is how deeply philosophical he was. I received a copy of "A Carpenters Life" from my best friend. I had to force myself to put it down. What a great read. I'd go as far as to put him up with Vonnegut and Carlin in his mastery of lucid written imagery. More importantly, his heart was the essence of compassion. He was a national treasure, and luckily we got one last publication out of him. I consider it to be one of the most important books I have ever read. I have already purchased three additional copies from Powells (all they had), and I will probably buy ten more before Christmas. His words are humanity. Carpenters, channel good thoughts to his family as you build. With each nail you pound Larry's energy will transmit to the universe.